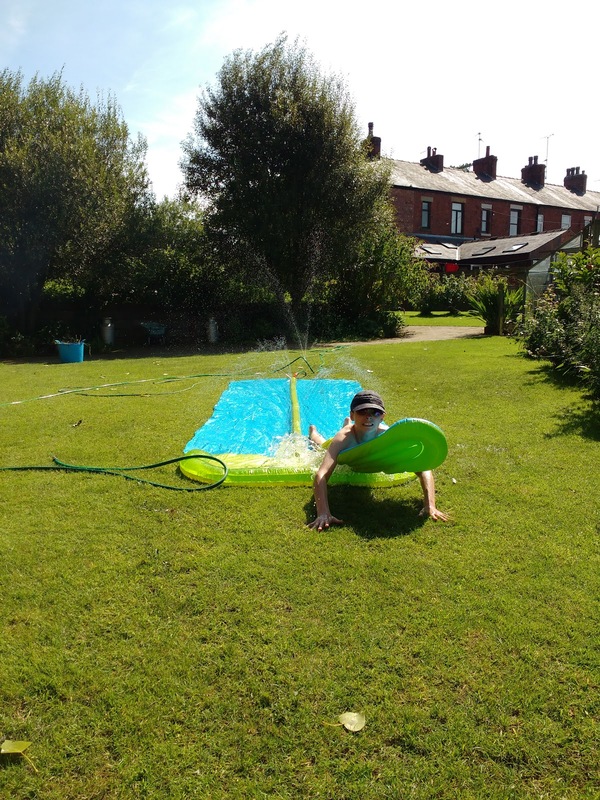 We have had a couple of nice days so Luke has been making the most of the warm weather and has had lots of fun playing on the water slide. 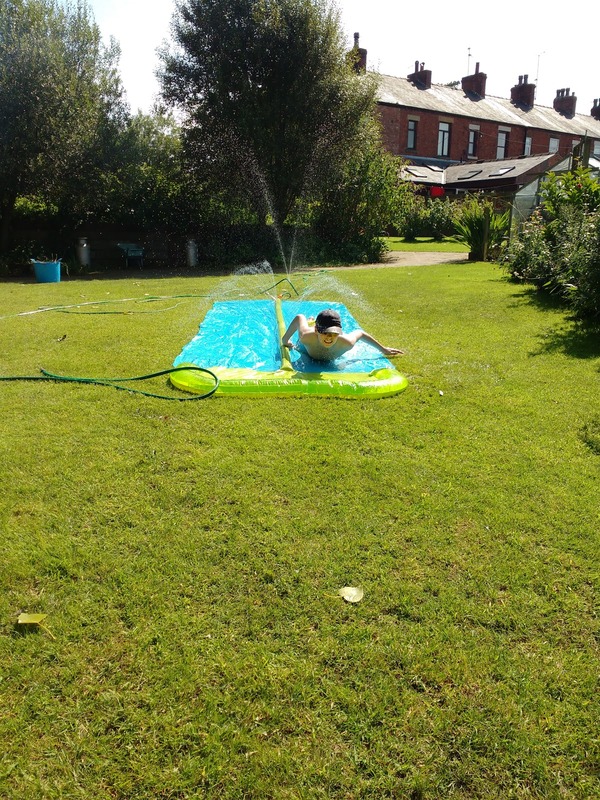 We have been taking advantage of the better weather and managed a full day in the garden. Since the council started charging to remove garden waste we chose not to pay as we already compost most of the garden waste and we only really use the bins for weeds. We don't particularly want weeds on the compost heap so I have been giving the weeds to the hens who seem to enjoy them! 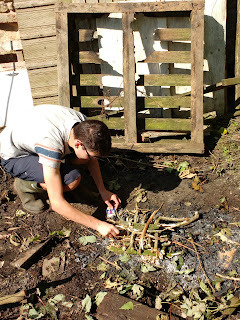 We spent quite a lot of time clearing a neglected part of the garden and collected a reasonable amount of rubbish, so never needing much of an excuse to light a fire, William volunteered. We burnt all the rubbish as well as lots of buckets of weeds, as there was way too many for the hens to get through.There is still a lot of work to do but now all the rubbish is gone it looks much better. We are hoping for a dry day this weekend so we can get some more work done.